Electric connections are crucial for both residential as well as commercial buildings. Without the electrical connection, you will not be able to use any new appliances or devices. Therefore, it will be extremely difficult if your electric line was facing an issue or disturbance. You should hire a company that can offer excellent electric repairs. 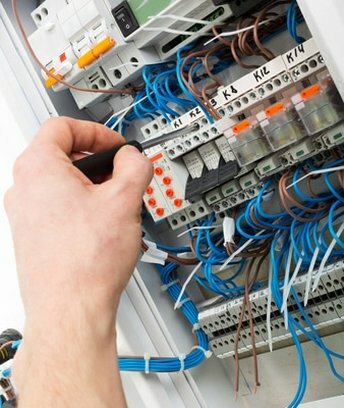 We, at MMJ Electric, can take care of all kinds of electrical concerns in your home as well as your office. Our technicians are highly experienced and proficient. Right from lighting fixtures, electric panel upgrades, low voltage installations, to intercom, fire alarms, phone and data, and even complete home automation, we can do it all. We are a licensed and insured company that charges extremely low rates too. So, if you belong to areas like Boca Raton, Boynton Beach, Coconut Creek FL, Davie FL, Deerfield Beach FL, or Fort Lauderdale, you can resort to us without hesitation. Here, we have put together a few essential questions to ask a company offering electric repair services. Take a look. Do you handle all kinds of electric repairs? Before handing over the repair work of electric lines, be it at home or in your office, you should make sure the company can deal with all kinds of repair work or not. Check if they can not just tackle indoor lighting but also the outdoor lighting, data lines, satellite or TV cable etc. Are you available 24 hours? Electric problems can lead to fatal accidents if not controlled in time. Instead of making things worse, one should try to get it fixed immediately. Therefore, you should ask if the company can attend to you at any time of the day. So, what are you thinking? After asking such questions, if you think we can be the right choice for you, quickly get in touch with us now.